Are your feet sore and tired after a day at work? Are you wondering how should work boots fit? If you don’t know, this could be the cause of the problem. 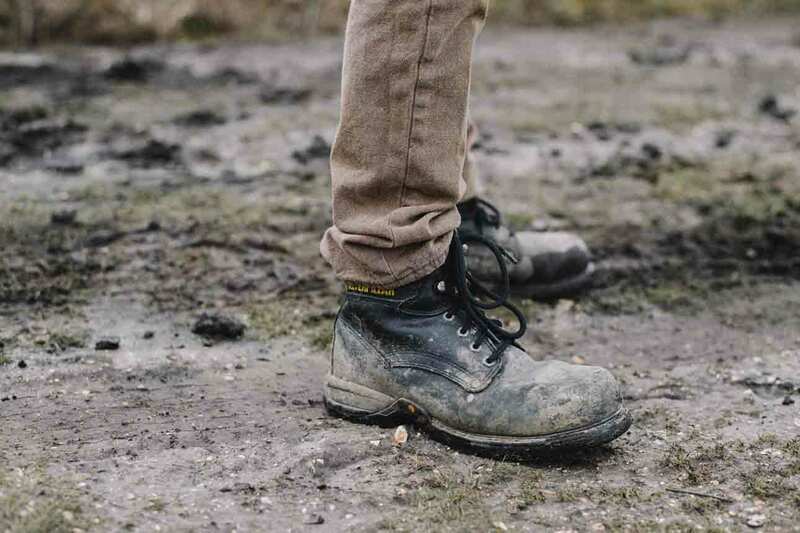 Do you need work boots for your profession? If you work five days a week for eight hours a day, you spend over 2,000 hours a year wearing them. That’s a lot of time if your boots don’t fit you well. The key to happy feet is having work boots that fit well. We’ll give you some guidance on how to choose boots that will stay comfortable, even on your longest work days. What Makes Work Boots Different? 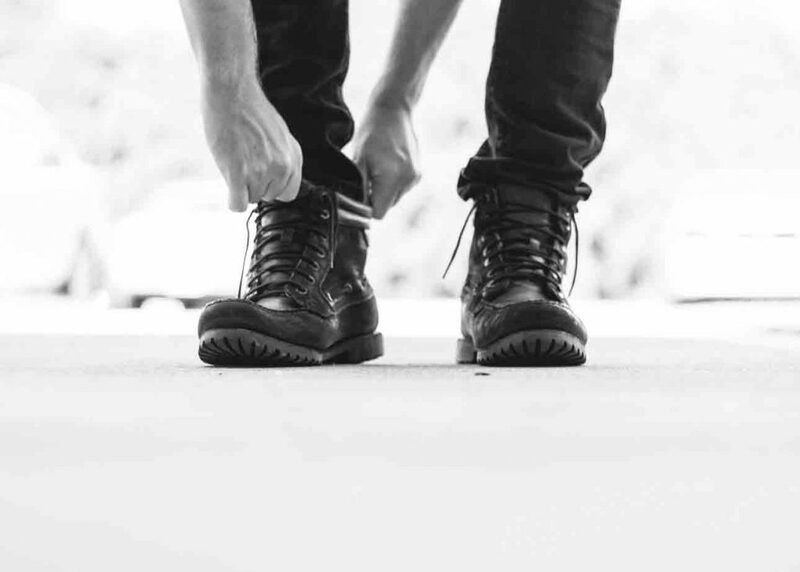 Apart from the amount of time our feet spend inside them, work boots might have steel toe caps or other reinforcement for safety. They might also come further up your legs than other boots, to hold them securely in place. If your boots don’t fit well, you could end up with a host of problems with your feet. These include blisters, calluses, corns, and ingrown toenails. Then there are other issues, like tired legs, backache, joint pain and dropped arches. When you are buying work boots, bear in mind not all brands will fit the same way. Where you might be comfortable in a size 9 Timberland boot, you may need a half-size bigger or smaller in an Ariat boot size. It’s also worth noting that while you can measure your foot, not all brands give a length and width on their sizing charts. Timberland is one of those companies. However, they do offer a 60-day return policy with respect to sizing, fit or style, providing the boots are in new condition. This means they have not been altered, worn, washed or damaged. 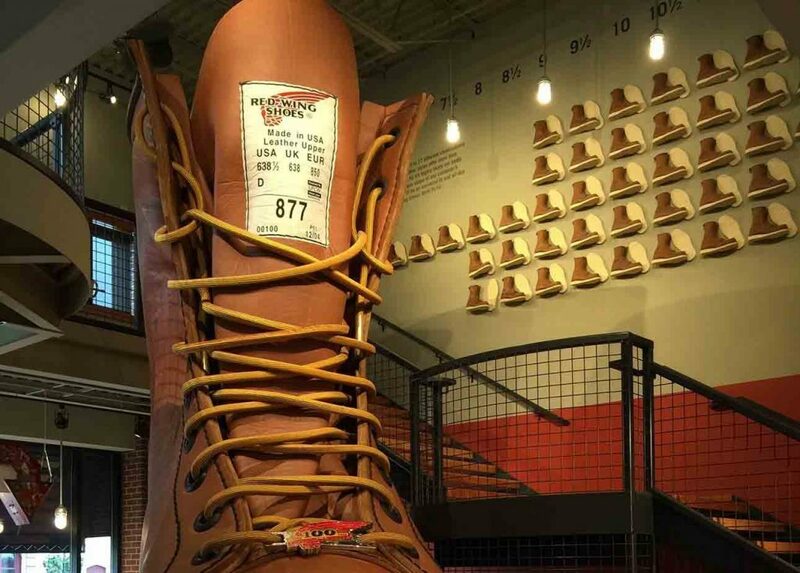 You can view the Timberland work boot sizing chart here. Justin Boots has a size chart for most of their boots on the product page. This video gives you some fitting tips for their lace-up work boots. Ariat has detailed sizing charts for both men and women, for either short or long boots. Not only do they cover the length of your foot, but they also give measurements for the height and width of the shaft of the boot. That is the long part above your foot that covers your leg. Socks: Take a pair of socks with you that you normally wear with your work boots. These take up room in your boots and if you have thinner or thicker socks on than normal, it could make a difference to the sizing. Insoles: If you have any insoles or orthotics that are normally worn with your work boots, take those as well. These also change the position of your foot within the boot. This could especially be the case in a pull-on boot, which we will look at in a moment. Take your time: Don’t be tempted to just try on one boot, think it’s comfy and buy that pair just to save time. 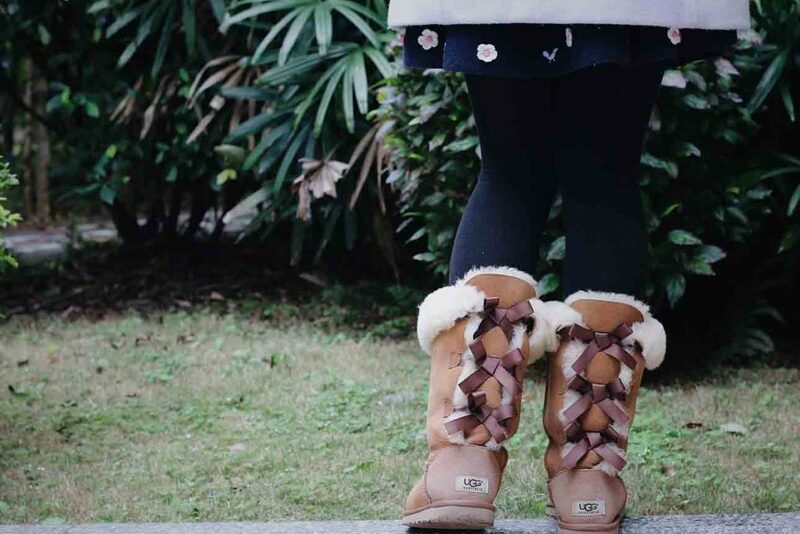 Make sure you try on both boots and give them a workout. Hop, or run on the spot, for example: you may look silly, but it’s worth it. Walk around: Take a stroll around the store. While you do, check that your heels aren’t slipping in and out of the back of the boot. Make sure your toes have room to move but aren’t hitting the front of the boots. Ankle support: Make sure your ankles aren’t twisting by rolling your feet onto their sides. Stitching: Interior stitching can rub and irritate your feet. Check there is nothing sticking into your foot that might chafe at a later stage. Check for pressure points: Once you have put your potential new boots through their paces, take them and your socks off. Look to see if there are any red marks on your feet, where there is too much pressure. This might mean corns or blisters down the line. Feet swell: Don’t go shopping for new work boots early in the day. For most of us, our feet swell as we spend time on them. Trying on new boots at the end of the day is a better idea: your feet are probably at their largest then so the boots won’t end up being too tight. When you bend your foot in your boot, the place they bend should be at the ball of your foot. This is the widest part at the base of your toes. Steel toe cap work boots should flex in the same place, the ball of the foot. If they don’t, they could be too small or too big. This can lead to irritation and affect the way they protect your toes, especially if they are too big. 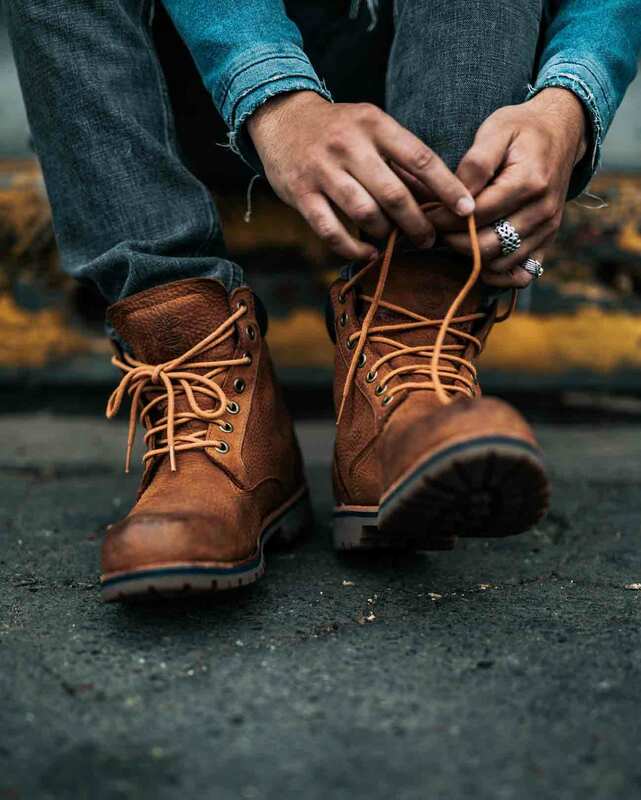 Work boots can be either lace-up or a pull-on type. There are differences between checking the fit so they are comfortable. The points we have raised above apply in either case. With lace-up boots, the way you tie the laces can affect the fit. There is a way you can lace them to hold your heel in place. This video shows you how to do it. This will help prevent blisters on your heels and make sure your feet don’t move about too much in your boots. If the boots are tight across the widest part of your foot, you can skip some eyelets in this area when lacing them up. You should feel some resistance when you put your foot in them and it moves from the shaft to the footbed. Don’t use excessive force to get your foot in. If it slides on with very little effort, it’s too big. When your foot is in the boot, the instep should feel snug. If you can pinch the material above this point, it’s too loose. You might feel a small amount of slip at the heel, which should stop once the boots are bedded in. The widest part of your foot should feel comfortable in the widest part of the boot. You should be able to wiggle your toes. It should take a little effort to pull your foot out of the boot. You don’t want it sliding off easily when you walk. This video from Justin Boots gives you some idea of how a pull-on boot should be fitted and sized. How Can I Make My Work Boots More Comfortable? Wearing the right socks or adding an insole can make your boots more comfortable. A sock which is mainly Merino wool will keep feet warm and dry, such as these from Darn Tough. A cushioned insole, like this one from Superfeet, will support and cushion your foot. How Tight Should Work Boots Be? Work boots should feel snug but not tight. You don’t want them to feel like your feet are a round peg trying to fit into a square hole. Likewise, you don’t want your foot to be swimming around inside the boot. You can use lacing techniques, to ensure you have your heel held firmly in place and a good fit in the ankle or calf. How Can I Adjust for a Wider Foot in My Work Boots? If you try on a pair of boots and they’re too narrow, don’t be tempted to go up a size to compensate. If they are the same brand, they will still be too narrow and now too big in the length as well. The same applies if a boot is too wide, downsizing won’t change the width, although you could use thicker socks to compensate. The width of the boot is as important as the length, to make sure they are comfortable on your feet. If you can’t find a width that suits your feet, think about checking other brands. You spend a lot of time with your feet in your work boots, so it’s important they fit well. Taking your time at the selecting and buying stage will save you pain and discomfort down the line. With many styles and brands to choose from, you should be able to find a pair of work boots that feel like they were custom made for you. By using the tips we’ve given you for sizing and fitting your work boots, you should be able to find your perfect match. Wearing your work boots will then feel like your comfiest pair of old slippers, and you won’t want to take them off. We hope you found our guide enjoyable and useful. We would love to hear your own experiences with finding the perfect fitting work boots. Leave us a comment and don’t forget to share so fellow workers can benefit too. How Should Snowboard Boots Fit?